Production of web/corporate , commercials and music videos. Director Dan Gable has worked on hundreds of TV programmes, music videos, commercials, drama and factual documentaries. Groundbreaking shows include The Word, The Brit Awards,...Read moreDirector Dan Gable has worked on hundreds of TV programmes, music videos, commercials, drama and factual documentaries. Groundbreaking shows include The Word, The Brit Awards, Big Brother, Wife Swap, Faking it, Gamesmaster and Top Gear. Sprat is a video marketing company which helps brands and businesses communicate with customers, whilst achieving a tangible return on their investment. We produce high quality 'on message' and cost-effective video content and marketing strategies. Our clients regularly tell us our videos represent fantastic value for money and make a significant impact on their business and brand. We have worked with companies such as Cisco, Gibson Guitars, Channel 4, Premier Inn, Sony, Google, LivePerson, CNBC, Universal Music, Endsleigh Insurance, Bowers & Wilkins and Avid and have made music videos for many artists including The Ting Tings and Huey Morgan from the Fun Loving Criminals. Sprat has recently produced customer testimonial videos with O2, EE, Talk Talk, Slendertone, T Mobile, Net a Porter and News UK. For events and trade show videos we have worked with the likes of Spotify, Google, IBC, HP and The Media Production Show and have filmed at most of the big London venues. We have both HD and 4K Canon Cinema cameras and lenses and always arrive fully equipped with radio microphones and LED lighting etc. We have a UAV ‘drone' and are FAA approved and insured to fly commercially. 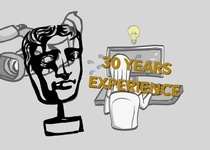 Please look at our website sprat.tv for examples of work. Great work experience with Dan. Highly recommended! Great experience from concept to delivery of the end product. 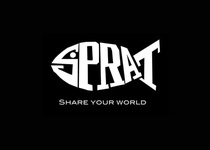 Thanks Sprat - will be contacting with you for next project in London. Amazing service. The best turnaround on video we have ever had. The results are fabulous. Just what we needed for our sponsors. 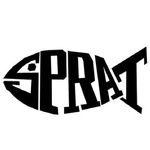 Thanks Sprat - will be contacting you for next year!! !